Neymar is set to cause quite the stir after it was revealed what order he predicts the Premier League clubs will finish this season. 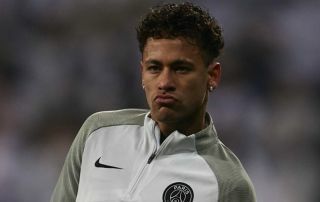 The Paris Saint-Germain and Brazil superstar will likely be keeping an eye on matters across Europe given his passion for the game as well as the potential research ahead of possible Champions League ties this season. SEE MORE: Manchester United’s Paul Pogba joins Liverpool and Chelsea stars in most expensive Premier League XI – which signings have been worth their hefty transfer fees? However, based on his answer below, it’s questionable as to whether or not he’s been paying much attention to the Premier League so far this year. Liverpool currently lead the way in England’s top flight with Jurgen Klopp’s men securing four wins from their opening four games while scoring nine goals and conceding just one. Despite that impressive form and the squad that the German tactician has built at Anfield as well as their run to the Champions League final last year, it’s not enough to seemingly convince Neymar that they can even get a top-four finish this season. Again, with Man Utd struggling in the early part of the campaign after defeats to Brighton and Spurs, it’s questionable as to whether or not they will be able to make it back into the top four this season such is the fierce competition around them. Chelsea have started impressively under Maurizio Sarri as they’ve set the early pace alongside Liverpool, while Tottenham continue to impress, aside from their defeat to Watford at the weekend, and so those two picks are understandable. Nevertheless, the decision to leave Liverpool out of the top four and perhaps finishing either fifth or sixth along with Arsenal will undoubtedly spark a reaction from some fans, but it remains to be seen if the Brazilian ace is right as there is of course always the possibility that Klopp’s men collapse in the coming months and fail to live up to expectations. Based on their form thus far, it doesn’t seem likely which is what makes Neymar’s prediction surprising.